Q. Weird thing at blackjack the other night. Some guy wanted to double down on blackjack when the dealer had a 6. The dealer told him it was against house rules to double on blackjacks. It became this whole big thing. The pit supervisor came over and told the guy sorry, they don’t allow it.The dealer busted, the player complained some more, but I told him we didn’t know if the dealer would have busted if the player had taken a card for his double. Just for discussion, how bad is doubling with blackjack vs. 6? Does it make a difference if blackjacks pay 3-2 or 6-5? A. Doubling on Ace-10 value vs. a dealer 6 brings an average profit of 53.6 percent of your original bet. So if you started with a $10 bet and doubled down on blackjack, your average profit would be $5.36. Sometimes you’ll win $20, but sometimes you’ll lose your bet and sometimes you push. If you draw a 10 value, you’re left with an ordinary 21 that pushes if the dealer also draws 21 instead of having that blackjack that wins regardless of the dealer’s draw. If you just smile and accept the payoff on your blackjack and take no more cards, your $10 bet brings back a $15 profit if blackjacks pay 3-2 and $12 if blackjacks pay 6-5. Risking that to double down is … um … not optimal. Q. I have a blackjack story for you. Full table, low-limit game, one guy was hitting everything but 20s and 21s every time the dealer had a 10 up. The first time, he signaled to hit King-9, and the whole table went “NO!” along with “You can’t hit that” and “Is that a serious play?”He insisted, and the dealer called out, “Hitting hard 19,” like they have to do when anyone makes a really weird play. He busted, of course, and he busted a couple of hard 18s, a 17 or two. Two or three players left, but it had kind of a morbid fascination. He said he didn’t know what the fuss was about. He was just hitting when the dealer had 10 and was trending to 20. I asked if he noticed he wasn’t winning any of those hands and he said he wouldn’t have won anyway. That probably wasn’t true. The dealer had some low cards down sometimes, which we pointed out. But it’s hard to convince someone who’s sure he’s right. A. I’ve seen a lot of strange plays at blackjack tables, including one man who insisted on hitting hard 17 vs. 10. Just as with the player you encountered, no one could convince him it was a bad play. But the only time I recall anyone signaling to hit hard 19 it was a long hand with a lot of low cards and the dealer said, “Sir, you’re hitting hard 19,” and the player said, “Oooops! Thanks. I misread the hand.” Deliberately hitting hard 19 is a new one on me. Q. I play a lot of blackjack, often in the $50 range. On innumerable occasions I have seen players who were hundreds or even thousands of dollars ahead go away empty-handed because they simply could not leave at a timely point, apparently having set no “win” targets or “stop loss” points, or else just plain unable to stop. Player fatigue is also an important factor in judgment. I thought perhaps you might address the general topic. 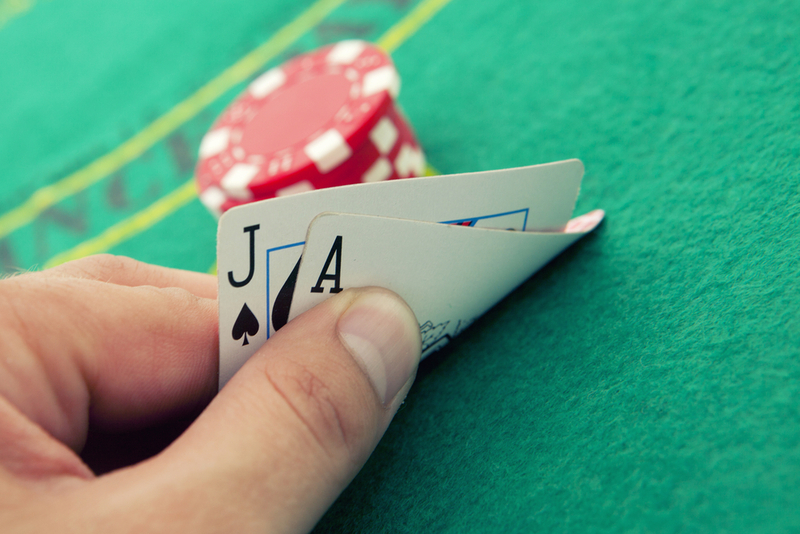 The overwhelming majority of players don’t have an advantage over the casino. No matter how much you’ve won, the most likely result going forward is to give some back. For blackjack players who don’t count cards, I give the same recommendation I give slot players, roulette players or those who play any other game. If you have a large win, protect it. Go ahead and take a shot at winning even more, but take at least half of any big win, put it in your wallet or purse and don’t take it out again until you leave the casino. How much is a big win? That’s a goal you have to set for yourself. Certainly, a $50 bettor who finds himself $1,000 ahead should consider putting part of that away.As for fatigue, that affects everyone, including advantage players. When I notice myself making strategy mistakes, I know it’s time to go. Fatigued players often make bad bankroll decisions, steaming through extra money when they should be walking away. Be aware of the fatigue factor. Take breaks, get some rest and don’t play tired. Q. I played at one of those blackjack tables where a dealer dealt the cards, but you bet by touching the screen. All the payoffs were automatic. As soon as the hand was over, the credits were added or deducted from your screen. I still like handling the chips myself, but I liked this better than I thought I would. It was all pretty easy and didn’t intrude on the game. Can you think of any negatives for players? A. I like handling chips, too, but touch-screen betting has its advantages. Payoff mistakes are all but eliminated. The dealer isn’t going to take your chips by mistake, nor are you going to be overpaid or underpaid. Touch-screen betting also enables the casino to offer side bets that are paid as quickly as the main bet. Side bets almost always have a house edge higher than the main game, so I avoid them. But for players who like to chase bigger jackpots, the side bets can be offered without slowing the deal. One thing that should leave players wary is that since the dealer doesn’t have to make payoffs, games with electronic betting move faster than games with chips. More hands per hour means faster losses for most players. 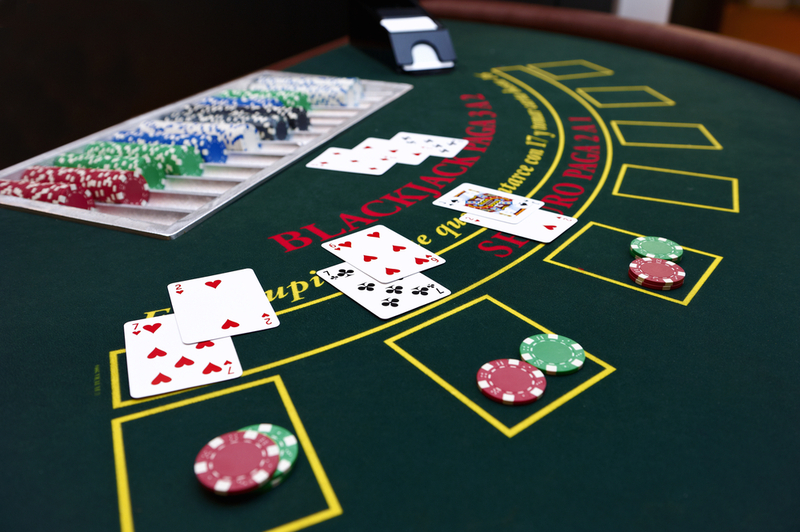 In blackjack, touch-screen payouts often require use of a card-reading shoe to relay results to the payout program. Card counters are wary of systems that have accurate records of wagers and of cards played, but for most players the main worry is speed of play. Q. You know what blackjack hand makes me queasy? It’s when I have Ace-7 and the dealer has a 10. The basic strategy card says to hit that hand, but I always seem to make it worse. Sometimes I get a 7 or 8, and then I have a 15 or 16 and have to hit again, and when I hit again there’s a good chance I bust. Why should I take the chance on busting when I have a nice, safe 18 when I stand? A. That soft 18 might feel like a nice, safe hand, but the dealer makes 19 or better to beat you more than half the time when starting with 10. Assume a common six-deck game in which the dealer hits soft 17. When starting with 10, the dealer busts on 21.25 percent of hands, makes 17 on 11.19, 18 on 11.17, 19 on 11.19, 20 on 34.00, 21 with three or more cards on 3.48 and blackjack on 7.71. So if you stand, you win on 32.44 percent (dealer busts and 17s), push on 11.19, lose to non-blackjack dealer hands on 48.67 and lose to blackjacks on 7.71. You have no opportunity to hit when the dealer has blackjack, but you can try to improve your hand to beat dealer 18s, win against a smaller portion of dealer 19s and 20s and occasionally push a dealer 21. To put it in dollars and cents, if you stand on Ace-7 against a dealer 10, you lose an average of 18 cents per $1 wagered. If you hit, you’ll improve the hand often enough that you trim the losses to 14.3 cents per $1 wagered. You can’t turn this losing hand into an overall winner, but you can cut your losses a bit. Similarly, if you have Ace-7 and the dealer’s up card is an Ace, your losses average 22.5 cents per $1 if you stand, and drop to 16 cents per $1 if you hit, If the dealer shows a 9 against your Ace-7, your losses per dollar average 18.3 cents if you stand and are cut to 9.8 cents if you hit. That’s why the basic strategy card calls for you to hit soft 18 if the dealer shows a 9, 10 or Ace.